First, there was red. Then there was brown. After brown came white. These are skin colors in the order they arrived in the state of Arizona. Red refers to the Indians/ Native Americans. Brown refers to the Mexicans. White refers to those who came from Europe. I live in Fountain Hills, a small town in Central Arizona. It sits in the middle of the desert. The town is boarded on the north and south by the Fort McDowell Yavapai Nation. A forty square mile reservation. This is where the remainder of the Yavapai tribe live. Take a wrong turn and you will end up on the reservation. The town of Fountain Hills was bought and developed by C.V Wood of McCullah Oil. It wasn’t easy to convince people to come out and live in such a desolate place. 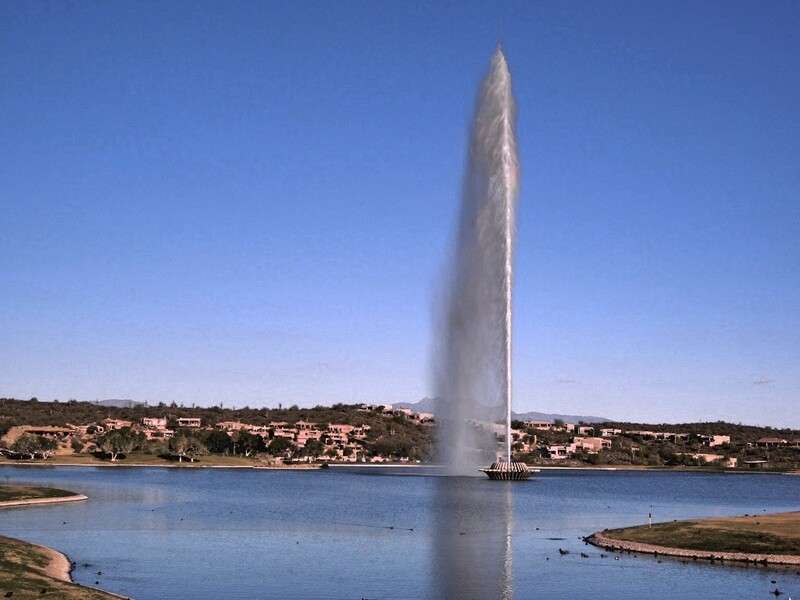 Houses were built, a lake was filled with recycled water, and the fourth tallest fountain in the world is in the middle of the lake. The white people began to move into the scenic town of Fountain Hills after 1970. The town now consists of “snowbirds”, people who come for the winter months and return to their home states in the summer. The town has a total area of 18.2 miles. The current population is 24,200 people. The racial makeup of the town is 94.1% white, 1.0 black, 0.6% Native American/Yavapai, 1.8 Asian and 4.1 Hispanic. 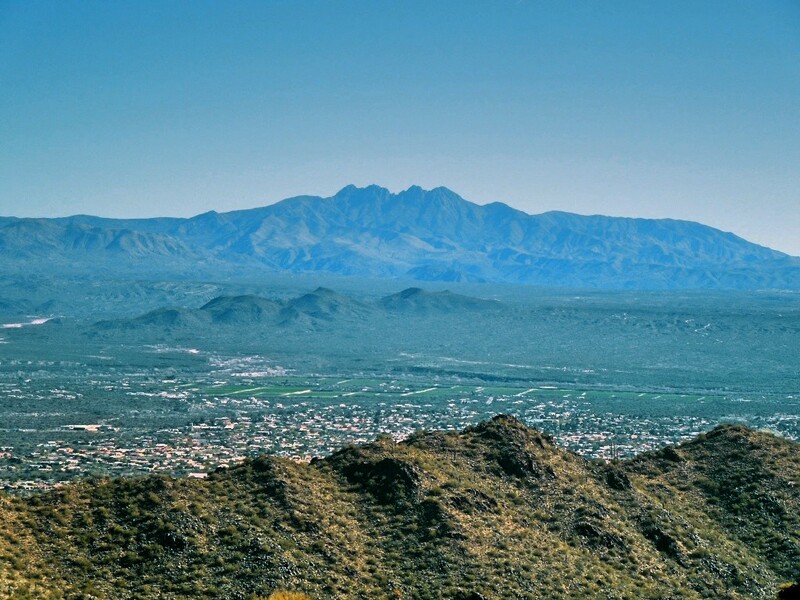 The area around Fountain Hills, Arizona once belonged to the Yavapai tribe, the red men. The Yavapai were a very peaceful tribe. They were frequently confused with the Apache. The Apache were the ones depicted in the movies. They were known as the warrior tribe. 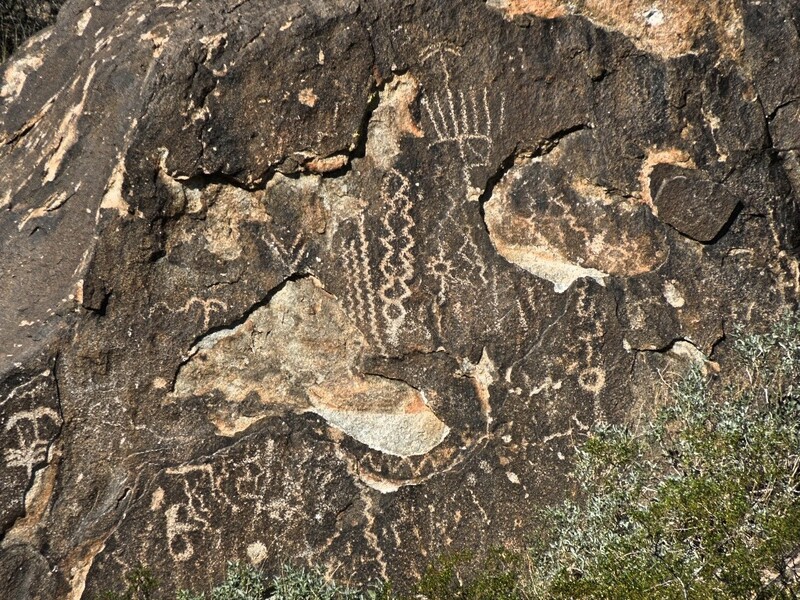 The Yavapai hunted and gathered over a large portion of West Central Arizona. They didn’t possess any weapons. They had been the sole occupiers of the territory since 900 AD. The Yavapai remained in their aboriginal state until 1860. They hunted mountain sheep, deer, and rabbits. All the food they collected was from the natural environment that surrounded the area. They gathered saguaro fruit, paloverde beans, mescal, prickly pear, mulberries, acorns, walnuts, and squawberries. They depended on nature to provide their food. They made their homes in the mountains. The US military drove the Yavapai off the land in Central Arizona in March 1875. They did not allow them to return for twenty-five years. When they returned, there was nothing. Their land had been taken away from them by the US government. Many of the sacred places they used for practicing their rituals were being used by the military to protect the white people from the Indians. The Yavapai lost their religious freedom and most of them were killed by the military during the Indian wars. They had nothing to fight with. The military had guns. These guns were used to round up whole families and betray them. The military assured them they were going to have a better life if they moved. They moved and ended up worse. They were not free to live and feed their families. They were kept as prisoners on their own land. The United States took 9,238,600 acres of land from the Yavapai on May 1, 1873, without any payment or any other kind of compensation. On March 13, 1969, the Indian Claims Commission granted an award of $5,100,000.00. This comes to about .55 per acre. The Spaniards arrived. They treated the Yavapai with great cruelty. They wanted the land for Spain. They were seeking gold and silver in the mountains sacred to the Yavapai. They wanted to convert the Yavapai to Christianity. They were arrogant and didn’t respect the spiritual beliefs of the Yavapai. The Yavapai were successful in not letting any missions be built on their territory. The Yavapai were living in the territory under Mexican rule from 1821–1848. The Yavapai referred to the Mexicans as “good white people”. They were cruel but not as cruel as the White people. The Mexicans, the brown people, took over the land the Yavapai were forced to leave for 25 years. When the Yavapai returned, they were forced to work for the Mexicans. They didn’t pay much. Mexico went to war with the US. The Treaty of Hidalgo was signed by both Mexico and the US. Mexicans lost their land to the whites. The size of this land was bigger than Germany and France combined. An abundance of gold was found after the treaty was signed. The Mexicans were forced to become US citizens or leave. Arizona had been part of the state of Sonora, Mexico since 1822. The population of Mexicans living in AZ was small. In 1848, the US took possession of the southern part of AZ after the Mexican/American war. The Gadsden purchase secured the Northern part of Sonora in 1853. The whites committed horrible crimes against the Mexicans. They entered the homes, murdered the men, raped their wives and daughters, set their homes on fire, and killed all the animals. Whites thought of Mexicans and the Yavapai as idolatresses and manipulated by priests. They treated them with disrespect and injustice. While Mexico was at war with Spain, white colonists, cattlemen, adventurers, and mercenaries invaded and occupied Central Arizona. Many of the whites who came to Arizona were refugees from the defeated confederacy and wanted to escape the Republicans. They stole cattle from the Mexican ranches. They were criminals and came to a place where there were no laws in place. They were looking for land and gold. They settled on land that did not belong to them. It belonged to the Yavapai. In 1820, the Anglo Americans, the white, started entering Yavapai territory. In 1835, there were more white foreigners than native Mexicans living in Central Arizona. Mexico asked the US to seal the border and stop the white men from stealing their property. In 1826, the white trappers showed up. On February 2 Mexico gave the territories of California, Nevada, Texas, Utah, New Mexico, and Arizona to the US government. The Yavapai were now part of the United States. The US military protected the whites who were seeking gold and silver on Yavapai land. They killed any Yavapai person who was in the territory. The white men were killing the Yavapai at the same time Lincoln was signing the Emancipation Proclamation declaring the freedom of black slaves. The white people continued to confuse the Yavapai with the Apache. They put all Indians in the category of attackers. When their land was being invaded, they were defenseless. They were not prepared to fight. In the 1860s the Yavapai lost their lives, their freedom, their land, their future and future generations. The whites were trappers, miners, ranchers, soldiers, and settlers. The Yavapai were not able to feed their families and began to raid livestock the whites had brought in to feed off the vegetation. This diminished the food for the Yavapai who depended on the vegetation. The extermination of the Yavapai began. Mass violence was the norm. Almost none of the whites lost their lives. The only weapons the Yavapai had were clubs, bows, and arrows. They were unable to gather, hunt, and plant to feed themselves. They were deceived by the white people. Their lives were taken away from them. The land was given back to them by Theodore Roosevelt in 1911. In 1940, they lost the land to Fountain Hills. The Yavapai were forced into giving their land away to the white man. I remember watching Western Shows when I was a child. Gunsmoke, Bonanza, Rifleman, and the Big Valley. Who came out ahead? The white man. Who was portrayed as the bad guys? The brown and red men. I would always hope that the white man won. I thought everyone else was evil and trying to kill the white man. Life changed and I found out that the white men took over the land by force. They were not the underdog. It was the Mexican and the Indian that were the underdogs. Now we are living among all colors of men. I don’t want the white man to win anymore. I want to see the brown, red, and black win. Do the white men feel they are the underdogs now? The United States is a country that stands for diversity. We have opened up our doors for all countries to come and find freedom, education, religion, and to speak their mind without fear of going to jail or being killed. Things have changed within the past nine months here in the United States. Mexicans are being deported. Taken out of their homes, removed from their families, sent to jail, and then sent back to Mexico. These are people who haven’t lived in Mexico for twenty to thirty years. What crime have they committed? They ran a stop sign, didn’t pay child support, and carry fake IDs. Are these the “bad hombres”? No, they aren’t. Many of them are good husbands, sons, and fathers. Their only crime is that they haven’t become legal citizens of the US. We are going back in history. The white man wins. The United States does not belong to the white men. It belongs to the red men and was inhabited by the brown men before the white men showed up. The United States belongs to every man who comes and wants to make a new life with his family. It doesn’t matter what color he is. We must not let the white men win again. I am living on land that was stolen from the Yavapai and sold to a white developer who made a ton of money. Note: I am not a political writer. I wrote this article from my heart. I write about culture and know that most Americans are welcoming to all people. Our ancestors all came from countries for the same reasons immigrants come now. Education, jobs, war, conflicts, and freedom. Let’s give them a chance. I am a retired ESL instructor. I am on a journey which includes writing, blogging, taking photos, and getting to know other cultures.